Loading dock door seals are simple devices help seal the building envelope, increasing energy efficiency and so much more. Warehouses are known for many things. Energy efficiency is not one of them. This is especially true around loading docks, due to outside air infiltration or inside air escaping. Either way, energy efficiency suffers and so does your wallet. So it is no wonder why facility owners are constantly on the lookout for ways to curb energy costs, as well as improve facility performance. The solution: Loading dock door seals and shelters. These simple devices help seal the building envelope, increasing energy efficiency and so much more. Loading Dock Door Seals & Shelters are designed to create a tight seal against your loading dock. This accomplishes several things. Door seals create a tight, weatherproof seal that helps maintain the internal climate of your warehouse and reduce energy costs. Hello, energy efficiency! Door seals help cushion the blow when trailers back up to your loading dock, protecting the exterior of your facility from damage. Dock seals and shelters also give your facility a more professional look and feel. As they say in the business world, image is everything. 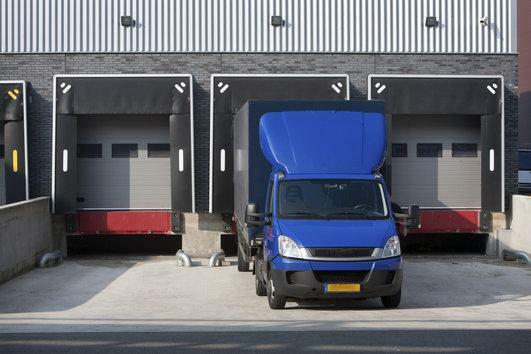 What is the opening size of the loading dock? You will need to know width and height. How high is the dock, from the ground to dock level? 48” is the average. How far does the bumper extend from the wall? 4-6” is the average. What is the approach to the dock like? Level? Incline? Decline? What is your average truck height, from the ground to the top of the trailer? Most standard LTL trucks are 12’ -13’6” high. Where can I find a wide selection of high-quality seals and shelters? The S. W. Betz Company, Inc. sells, installs, and services loading dock door seals and shelters. If you have any questions about Loading Dock Door Seals, please contact S.W. Betz by calling 410-574-1414 or 800-332-0322 today! You can count on the S.W. Betz Company to work with you and provide you with our extensive knowledge of the industry. This entry was posted on Tuesday, July 7th, 2015 at 1:07 pm. Both comments and pings are currently closed.